NP graduate Maura Slater poses for a picture in New York City. Staff writer Sammi Stec sits down for a one on one with North Penn graduate Maura Slater. 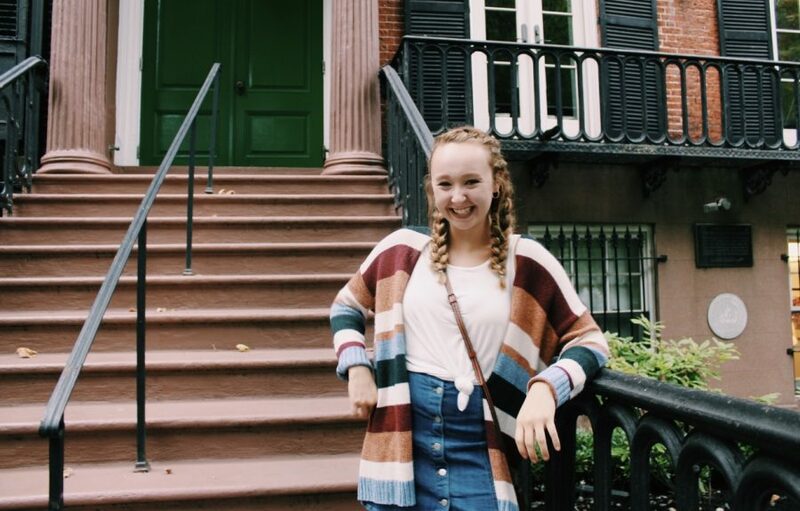 2018 North Penn graduate, Maura Slater, is taking on a new stage as a freshman at Marymount Manhattan College. During Maura’s time at North Penn, being involved was an understatement. She was a part of all six theatre productions, an anchor for NPTV, an extremely dedicated thespian troupe member, and eventually president of the troupe. Maura was also a State Thespian Officer for the Pennsylvania State Thespian Conference, leading the conference among others. Not only did she exceed after the school day, she was an overachiever when it came to her grades. She received distinguished honor roll all throughout her time in high school. Before leaving the North Penn stage, Slater committed to Marymount Manhattan College for a B.F.A in Acting. Although she is not yet apart of a play this year, she is apart of a sketch comedy group on campus. Freshman year is about learning the ropes, and she is going straight in, trying to do as much as she can to get the full college experience. Slater hopes to be in many shows at Marymount before graduation.